What happens when your engineer can TALK with you, not at you? At PCS, our engineers do more than analyze and compute – we talk with personality and engagement that connects our teams. We relish the magical combination of singular expertise and diverse ideas that creates great buildings. Our single-discipline passion advocates multiple perspectives, connects all disciplines, and powers clear solutions. Click the featured projects below to learn more. string(33) "Connected Teams. Bold Solutions. " What happens when your engineer can DRAW an idea? A picture tells a thousand words and, in the midst of the complexity and commotion of a typical project, PCS engineers draw. 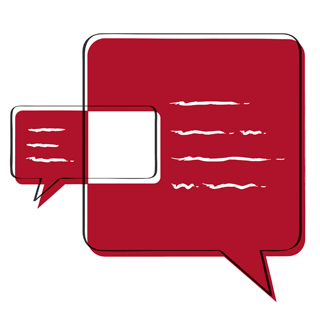 Quick, informative visuals capture team ideas, power elaboration and analysis, and move concepts forward in real time. 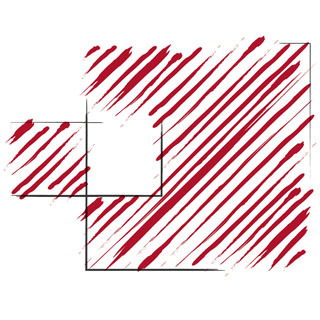 It’s intuition—immediate understanding—that furthers design, costing and constructability. What happens when your engineer can FACILITATE a conversation? 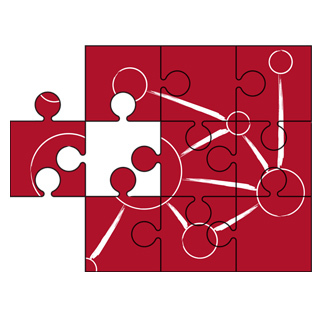 As the floors of a structure build upon each other, so do ideas within teams. PCS engineers facilitate discussions to power the fast flow of ideas, pulling concepts, pushing details, addressing upcoming concerns and thinking big on every floor of the building process. string(52) "Garage for Franciscan Medical Building at St. Joseph"
An 8 level post-tensioned parking structure frame accommodates 818 parking stalls on a cramped urban site. Two ground floor retail suites provide 2,300 SF of store front along the adjacent busy street. The unique ‘pump handle’ exterior foundation system allows the building face to be within 2” of the property line maximizing the footprint and square footage of the building. Two stories of architectural screening celebrate the heritage of the neighborhood and the entire face of the building sets back at the fifth level creating a relief from the ‘corridor effect’ felt from street level. 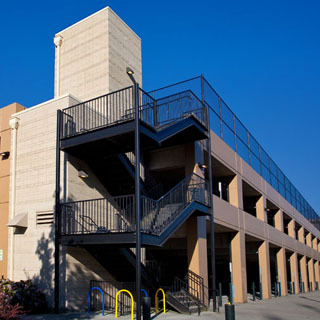 A sky bridge serves the adjacent medical office building and provides unencumbered and climate controlled access for pedestrians. string(66) "Franciscan Medical Office Building at St. Joseph Garage SQUARE.jpg"
string(89) "public://projects/list/Franciscan Medical Office Building at St. Joseph Garage SQUARE.jpg"
string(68) "Franciscan Medical Office Building at St. Joseph Garage FEATURED.jpg"
string(95) "public://projects/featured/Franciscan Medical Office Building at St. Joseph Garage FEATURED.jpg"
Pacific Plaza has set a new benchmark for achievement for office and retail properties in Downtown Tacoma. The award winning LEED Platinum 250,000 SF renovation and addition was made feasible with a pioneering long span steel floor system. Smart Beams ™ spanning 60 feet for the first time in an office floor application along with a central concrete core and unique concrete skin to remediate serious seismic deficiencies allowed a parking level, 2 office levels and a green roof to be added on top of an aging 5 story 400 car parking garage. The “2010 NAIOP National Sustainable Development of the Year” is home for the Tacoma office of PCS Structural Solutions and the first downtown grocery store in 40 years. 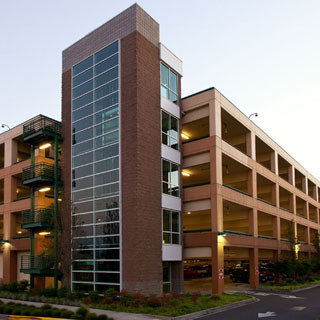 string(36) "Emerald Queen Casino Parking Garages"
These two new 1,000-stall parking garages at Emerald Queen Casino Fife each consist of five levels of parking with iconic CMU and glass elevator towers and vestibules. The design schedule was condensed and the permit drawings were ready within 5 weeks of notice to proceed. 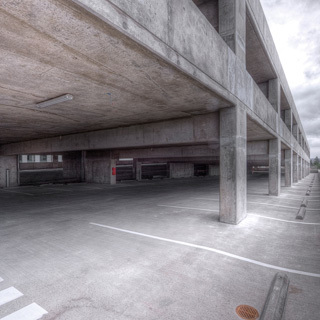 The construction schedule was also fast tracked, and PCS worked hand in hand with the contractor to accomplish a 6-month construction schedule for each garage, with parking opening on the lower levels as the upper levels were being constructed. The garage incorporated an exterior moment frame system allowing for an open, wall-free garage for added security and visibility. string(47) "Emerald Queen Casino Parking Garages SQUARE.jpg"
string(70) "public://projects/list/Emerald Queen Casino Parking Garages SQUARE.jpg"
string(48) "Emerald Queen Casino Parking Garages FEATURE.jpg"
string(75) "public://projects/featured/Emerald Queen Casino Parking Garages FEATURE.jpg"
string(34) "Stadium High School Parking Garage"
PCS Structural Solutions was the prime design consultant for this 245 stall Design Build garage with four competition tennis courts (equivalent to 360 stalls) on the roof. The structure was to be placed on a hillside that had a history of instabilities and washouts. PCS designed a Pile wall to stabilize the site and used a unique combination of piles and Geopiers to meet the foundation challenges. The garage incorporated an exterior moment frame system allowing for an open, wall free, garage for added security and visibility. string(45) "Stadium High School Parking Garage SQUARE.jpg"
string(68) "public://projects/list/Stadium High School Parking Garage SQUARE.jpg"
string(46) "Stadium High School Parking Garage FEATURE.jpg"
string(73) "public://projects/featured/Stadium High School Parking Garage FEATURE.jpg"
string(36) "Renown Medical Center Parking Garage"
Renown Medical Center is the regional trauma center for the Reno/Sparks Metropolitan area in Nevada. 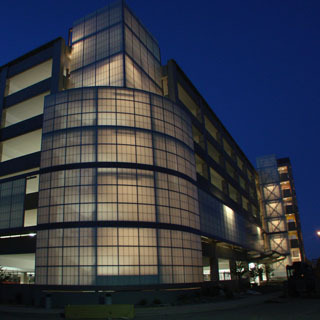 A 423,000 square foot seven level cast –in-place concrete 1,700 stall parking garage was constructed adjacent to the facility to provide easy access to patients and hospital staff. 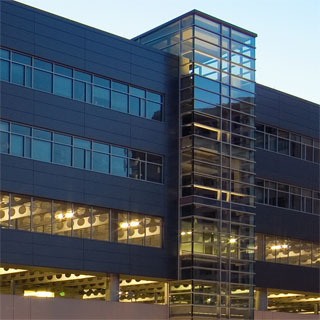 The garage features long span post-tensioned beams, skyways to adjacent medical buildings, and a perimeter moment frame that provides an open and highly visible parking area. string(47) "Renown Medical Center Parking Garage SQUARE.jpg"
string(72) "public://projects/list/Renown Medical Center Parking Garage SQUARE_0.jpg"
string(40) "Tacoma General Hospital Employee Garage "
Multicare General Hospital is in the heart of Tacoma. PCS was asked to review an aging 87,000 square foot parking garage that was originally designed by others for 2 additional stories. PCS proposed a creative solution allowing for a 3-story addition with full seismic upgrade - extending the life of the structure as a viable commodity for the demands of a growing campus. 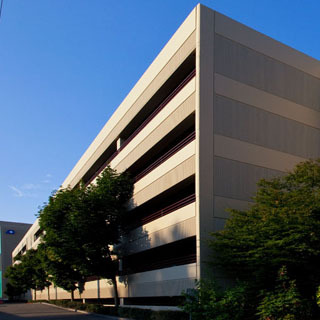 The new 103,000 square foot addition addressed water infiltration, provided 2 additional elevators for increased passenger vertical circulation and seismically upgraded to current code standards using concrete core walls at the elevators. The addition was constructed using pre-cast double tee concrete girders with concrete topping to reduce shoring costs and shorten the construction schedule. string(37) "Tacoma General J St Garage SQUARE.jpg"
string(60) "public://projects/list/Tacoma General J St Garage SQUARE.jpg"
string(37) "Tacoma General Hospital J St. Garage "
string(60) "Over 50 Years of Structural Engineering: A 6-Decade Timeline"
Illustrated above are decade snapshots that highlight six chapters of the 50+ Year PCS story. 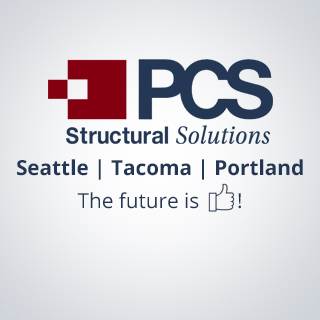 Building on over 50 years of experience delivering structural solutions to our clients across the Pacific Northwest and beyond, present-day PCS Structural Solutions continues to grow and set our sights on a bright future. As you click through the images above, you will see snapshots of our history over the decades. We have marked only a handful of the projects, partners, and milestones that shaped the growth and development of our firm - the complete narrative includes our entire staff, great clients and industry partners who have shared in moments of the first 50 years. Our first decade as a firm: In 1965, Ray Chalker and Skip Bush established Chalker Engineers – the same year the Beatles released four new albums including “Help”, gas was 31 cents a gallon, and an attempt to move the Cleveland Indians to Seattle fell apart. In the early 1980's, Chalker Engineers (known today as PCS Structural Solutions) designed a network of glulam arching trusses to span further than ever before and incorporated pre-cast concrete hollow core planks to shave time off construction schedules. At the same time, big hair and neon dominated fashion, the average cost of a new home was $82200, and Bill Gates was hired by IBM to create an operating system for a new PC. 2nd generation of leadership: in 1987, Dan Putnam, Jim Collins, and Don Scott took over the reins as firm leaders with the support of their associates depicted above (left to right) Aaron Goodwin, Gary Beckner, Rick Oehmcke, and Jack Pinkard. 1987 was also the year that Bon Jovi was topping the charts with his smash hit "Livin' on a Prayer", the cost of Superbowl ad was $600,000, and the Seattle Seahawks signed "The Boz", Brian Bosworth, to the biggest rookie contract in NFL history. Our 4th decade as a firm began with key projects that marked the revitalization of downtown Tacoma, the growth of our Seattle office, and ended with PCS championing and embracing the soon to be BIM revolution. The turn of the century also brought us reality TV (50 million viewers watched the first season finale of Survivor), oil topped $30/barrel for the first time, and banking software that used (4) digits to represent the year. Celebrating our 5th decade: In 2007, after collaborating with Dan, Jim & Don on a legacy rebranding campaign, Brian Phair and Craig Stauffer transitioned into CEO and President of PCS Structural Solutions - ushering in a new era of 3D design tools and pushing a culture of enhanced collaboration. Looking ahead from 2016 and beyond to the next 50 years, we eagerly look forward to future decades and the stories and relationships they will bring. The opening of our new Portland office and expansion of our Seattle space will enable us to continue working as one unified firm with national reach and a singular passion.